Uber has already been having a pretty glum year, courtesy of the ongoing controversies and lawsuit by Waymo. And now, adding some more salt to their wounds is today’s gruesome accident of one of its self-driving Volvo’s in Arizona. Local news publications report that the crash, which involved two other vehicles, happened in north Tempe on Friday evening. The accident occurred when Uber’s autonomous test vehicle was driving southbound on McClintock Drive in Arizona, where the ride-hailing giant started testing its tech after its scuffle with the California DMV. The police authorities present at the scene suggested that another car failed to yield the incoming traffic while making a left turn and went crashing into the self-driving vehicle. This crash also reeled in another vehicle but no serious injuries have been reported. 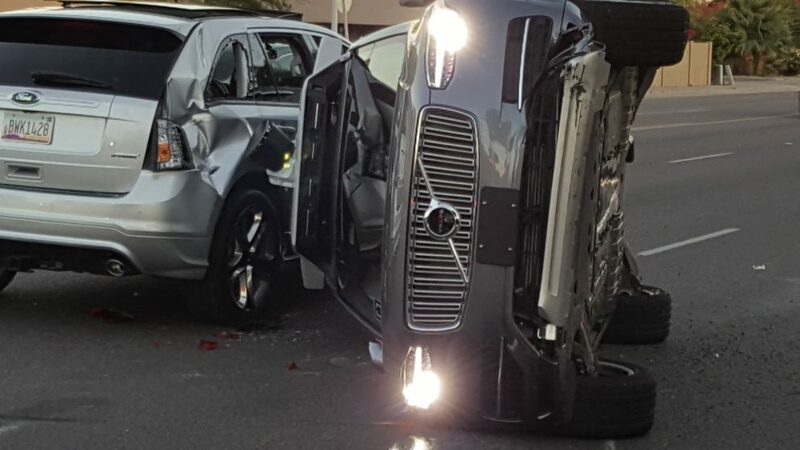 But, in the picture attached above, you can witness Uber’s self-driving Volvo laying on its side next to another vehicle with numerous dents and smashed windows. This means that the vehicle which crashed into the said vehicle was traveling at a pace speedy enough to topple the SUV on its side. An Uber spokesperson has confirmed the accident and the horrifying state of Uber’s self-driving test vehicle. But, it is still unknown whether the Volvo was driving itself or the company’s engineer behind the wheel had taken manual control. This is not the first time an Uber self-driving vehicle has been involved in an accident on this magnitude. The ride-hailing behemoth has been testing its cars for just a few months but has met with more major accidents than Google’s previous self-driving car. This is, however, another blow to the ride-hailing giant’s already deteriorating brand image among the populace. And this will further contribute to the questions being raised about its self-driving technology, which Alphabet says has been stolen from them. For those unaware, Alphabet’s Waymo self-driving division has filed a patent infringement lawsuit along with an injunction stating that Uber’s self-driving technology is built upon their sensitive data. 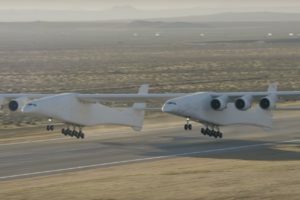 It believes that former Googler Anthony Lewandowski took off with about 9.7 GB of trade secrets, including blueprints, design files and testing documentation to build his self-driving truck startup Otto, which was bought by Uber. And it also further justifies the internal report which suggested that the company is having is having a tough time optimizing its self-driving tech. As per the report, Uber’s miles per intervention (which is the number of miles driven by a car before a human has to take over for any reason) stood at .9 miles in January. In February, the car had managed to cross the one-mile landmark. However, it has dropped right back down to .8 miles this month.